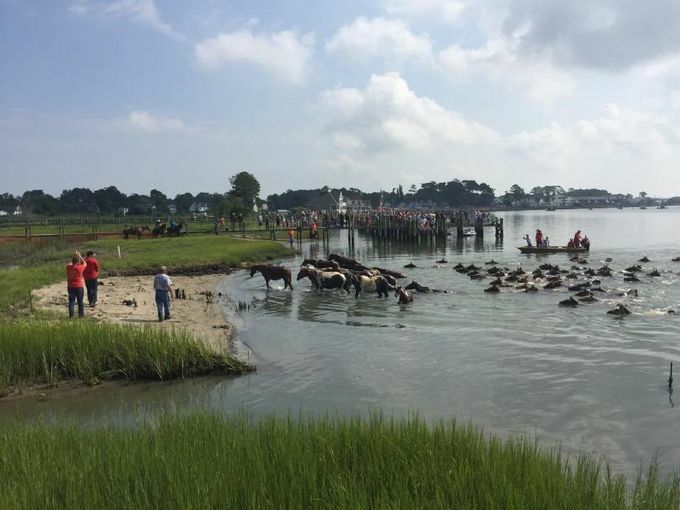 About 200 ponies and foals made the swim this morning during the 91st Chincoteague Pony Swim. The herd was rounded up on Sunday. This morning at 10:18 the famous Chincoteague ponies embarked on the annual swim from Assateague Island. The swim always takes place at on the last Wednesday of July at “slack” tide (when there is no current); the annual foal auction will take place tomorrow, starting at 8:00 a.m. I was able to watch some of the swim on a live video feed. None of the horses or foals looked to be in distress. I’ve always wanted to watch the swim, and this year I managed to come across a live feed of the event. It wasn’t as much fun as being there but I probably got a better view since the event draws tens of thousands of spectators. 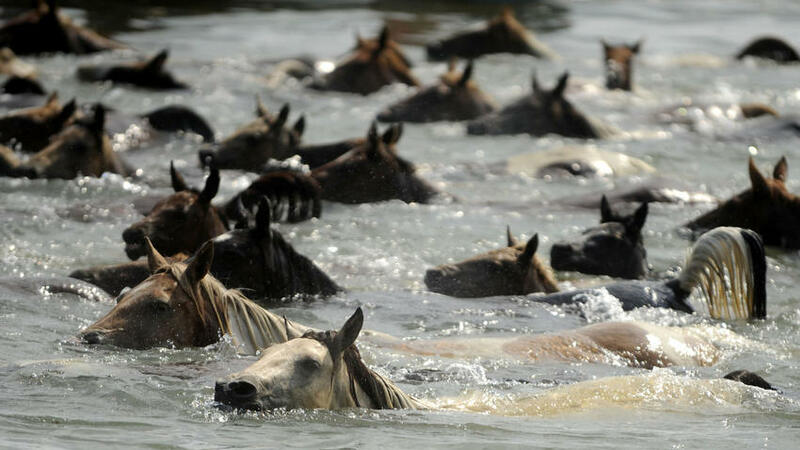 Not to mention the heat index was 104 when the ponies started their eighth of a mile swim. This year approximately 200 ponies made the swim and none had any issues, even some of the smaller foals. Once they emerged, there were a few tussles among the stallions and some frantic mares looking for foals, but soon the herd settled down and I saw a few bystanders stroking ponies over the fence. 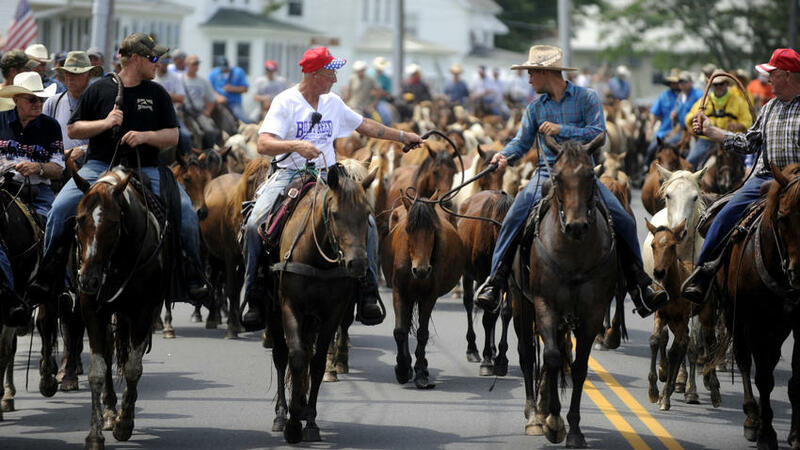 After they’ve rested, the ponies are herded down the main street by the “Salt Water Cowboys” in preparation for tomorrow’s auction. The annual pony swim became famous in 1947 with the publication of Marguerite Henry’s classic, Misty of Chincoteague. Certainly, it was one of my favorite books as a child and I spent many months dreaming of owning my own Chincoteague pony. Amazing how whole herds remember to do a certain thing at the right time as they do. Animals have that way of having annual events. Thank you for the information! It is very interesting to learn about it.